The anti-American anthem protests did considerable damage to the NFL. After over two years, viewership still hasn’t recovered. Now one anthem protester made a comment that has the league pulling its hair out. The NFL has had problems for years. A spate of domestic violence cases gave the league a black eye, no pun intended. The league is still dealing with the concussion issue which has cost them over $500 million in lawsuit settlements. They continue to face problems with poor rules and officiating. But the league endured all of those issues. However, the one problem that continues to be a nightmare for the NFL is the anthem protests. In August 2016, free agent quarterback Colin Kaepernick refused to stand for the Star-Spangled Banner. He said his protest was against police brutality against black people. But Kaepernick’s protest was really about stealth Marxism. Kaepernick fell in line with radical leftism while taking classes at Berkeley. After being a frivolous player, Kaepernick is now viewed as some type of revolutionary hero. But all he does now is hate on America. And the mainstream media love it. Democrats like Nancy Pelosi couldn’t even be bothered to stand up for the national anthem. But the American people don’t like it. The majority of the country believe kneeling for the anthem is disrespectful. And they’re voting with their feet. Ratings, stadium attendance, and advertising revenue are all down. Kaepernick’s radicalism dovetailed with his decline as a player. Unsurprisingly, no team has signed Kaepernick. No team wants a diminished player who will be a locker room distraction. But Kaepernick didn’t see it that way. He believes he’s being blacklisted by the NFL. So he’s suing the league for collusion. Apparently leftists see collusion everywhere. Kaepernick’s friend and fellow kneeler Eric Reid found himself out of work for months. Reid complained about collusion and joined Kaepernick’s lawsuit. He was sure that the league conspired to keep him out. The Carolina Panthers offered Reid a contract. 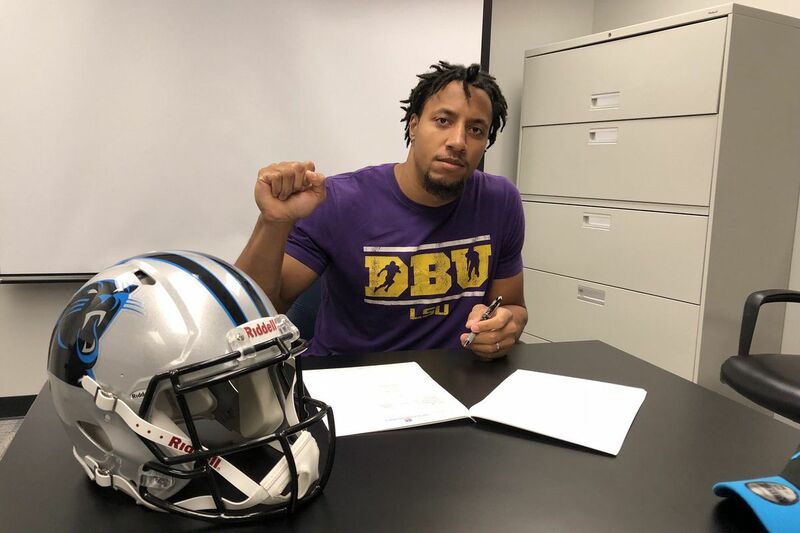 Reid signed a deal to play safety for the Panthers. The move doesn’t come as a big surprise. The Panthers had an injury at safety, and Reid was available. And if anyone would be sympathetic to anthem protesters, it would be new Panthers owner Dave Tepper. Tepper praised anthem protesters as he attacked Donald Trump. But Reid still isn’t satisfied. He’s continuing with his lawsuit. And he still might protest the anthem. Reid doesn’t realize he’s under control. He needs to discuss his protest with Kaepernick and other leaders of this leftist movement. Reid almost flushed away his career for a cause he doesn’t understand. For his sake, Reid should focus on football. The political battle is ugly and complex. And people like Kaepernick and his handlers don’t have Reid’s best interest at heart.